The Forbes Under 30 Summit in Boston has been underway since this weekend. The summit gathers 7000 "young leaders" and present motivation panels, pitch contests, as well as music and food festivals. Tomorrow (October 3) will be this year's food festival. 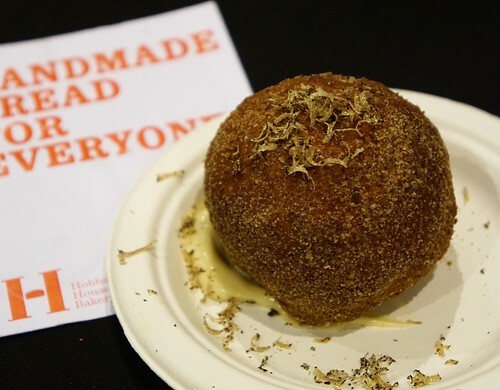 The food festival features young notable chefs from the 30 Under 30 list and they will compete for the title of America's Best Young Chef (there are two categories: the Judges' Choice and Audience Choice). 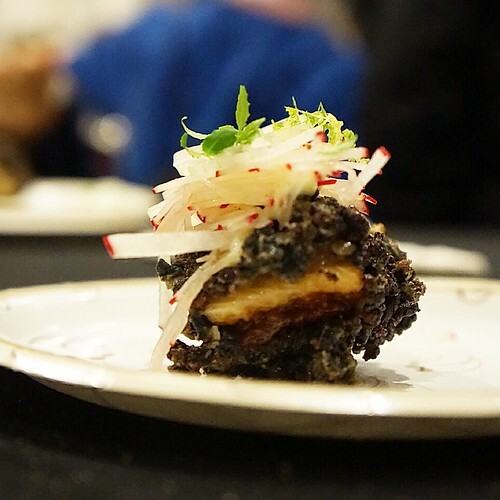 Seaweed pie from Toni Toivanen of the Scandinavian pop-up restaurant Sandladan. 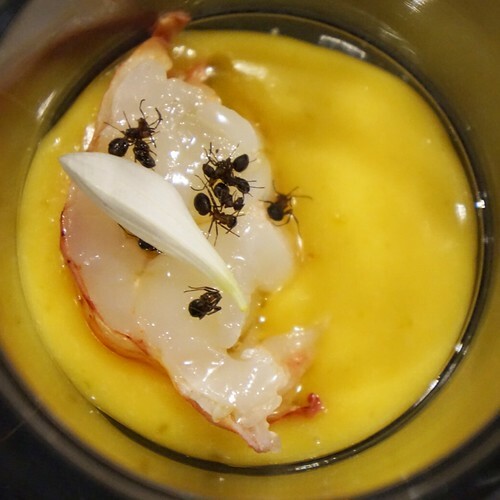 While they ran out of the seaweed tartlets, I still loved the custard - made of fermented egg yolk and lobster brains (yes), topped with poached lobster and ants. Andrew Chmielewski (Dave’s Sweet Tooth, Ferndale, MI), Alexandra Clark, (Bon Bon Bon, Detroit), Simon Davies (Chef de Cuisine at Alinea, Chicago), Zachary Engel (Chef de Cuisine at Shaya Restaurant, New Orleans), Kelvin Fernandez (Executive Chef at La Marina, New York) – defending 2016 “America’s Best Young Chef – Audience Choice” winner, Christian Pettersen (Head Chef at Mondo, Norway), Kwame Onwuachi (Chef & Owner at The Shaw Bijou, Washington, DC), Henry Herbert (TV Personality from The Fabulous Baker Brothers, United Kingdom) – defending 2016 “America’s Best Young Chef – Judge’s Choice” winner, and more. The food festival will be held tomorrow, Oct 3, 2017 from 6-10 pm at JFK Library in Boston. The food festival is open only to holders of VIP and all-access passes to the 2017 Forbes Under 30 Summit.